There is a very attractive tax credit for business owners called the Work Opportunity Tax Credit. If you hire certain disadvantaged people, you can get tax credits per eligible employee. You can receive between $1,200 and $9,900 in tax credits from WOTC. What New Hires are Eligible for the Work Opportunity Tax Credit? To receive a tax credit for hiring one of these disadvantaged groups, they need to be qualified as part of these “target groups”. The target groups are broken into different sections of people. What are the WOTC Workers Opportunity Tax Credit Target Groups? The Work Opportunity Tax Credit is a sliding scale. Each targeted group and work hour qualification has a maximum tax credit. Take a look at the screenshots below, but in short, for workers under 400 hours (and above 120), the employer will receive a tax credit of 25% of the first $6,000 in wages up to the limit in the first year. Small Businesses (and large) can receive a tax credit of 40% of the first $6,000 of wages up to the limit. (These are generalizations and do not constitute advice). Remember, there are basically two over-arching groups of people that are eligible for the WOTC tax credit – veterans and non-veterans. What are the maximum WOTC Tax Credits for Veteran Target Groups? Below is a screenshot from the WOTC benefit website. The two screenshots show the MAXIMUM WOTC tax credit available for businesses IF they qualify. Who is Part of the Target Group and Eligible for WOTC Tax Credit? What qualifies a new employee for the Work Opportunity Tax Credit? For your new hire veteran to be qualified for the various WOTC tax credits, they will need to qualify as a “Target Group”. Here are direct quotes from the eligibility website as of 3/1/2018. This means that the WOTC Work Opportunity Tax Credit is a way for employees to get assistance with their hiring costs by receiving a federal tax credit for hiring these amazing service people. What are the details of the Work Opportunity Tax Credit? The following Screenshots were taken on 3/1/2018 from https://www.doleta.gov/business/incentives/opptax/eligible.cfm#DCR and will show more detail concerning what qualifies someone as part of a Target Group. While those are very broad recommendations – they are the simplest way to explain where to find tax loopholes for small business. But wait – there’s a whole other, much more complicated alignment for small businesses to pay attention to in order to lessen the amount the government will take from them – tax credits, and sweetheart deals for industries or sectors. That’s right – if you align yourself to the available tax credits, or if you participate in industries with cutouts, you can reduce your small business taxes even more. Tax credits for small business are hard to come by, because most tax credits are things that lobbyists for larger interest groups try to get created for their beneficiaries. That’s where crony capitalism comes into play. Whether it’s earmarks, or just crony deals between sectors such as rail, green energy, insurance, investments or others – but we digress (we hate crony capitalism and the special cutouts for large interest groups). If small businesses align to the available tax credits – they can reduce their taxes DRASTICALLY. HOW DO YOU REDUCE YOUR TAXES? Tax Credits are another tool the federal government uses as an incentive. The Government is providing tax credits, and additional fast-forwarding of expenses via section 179D to reward these activities. Small business owners are always asking us what are the best tax deductions for small business, what’s the best way to reduce my business taxes, and they’re even looking for tax loopholes that might be relevant to their small business. To learn about the three major ways you can reduce people’s taxes, read the article about tax reduction strategies. The three best tax write offs for small businesses are’nt really tax write offs, they’re tax reduction strategies. THe first is to invest in rental real estate, the second is to utilize retirement plans and benefits, and the third is to utilize the proper business entity – especially an S-Corp to reduce your self employment taxes. Are there any tax loopholes for small business? Kind of. Tax loopholes are really about positioning yourself to participate in the things that the government wants to see more of. Congress uses the tax code to incentivize certain things over others. Every state has these Rural Renewal Counties, whose residence can might participate in the WOTC. What counties are eligible for WOTC tax credits? The counties of Big Stone, Chippewa, Cottonwood, Faribault, Jackson, Kittson, Koochiching, Lac Qui Parle, Lincoln, Marshall, Martin, Murray, Norman, Pipestone, Red Lake, Redwood, Renville, Stevens, Traverse, Wilkin, and Yellow Medicine. Who should an employer focus on to receive the most tax credits? When you look at the tax credits available, the greatest reward lies in hiring veterans. 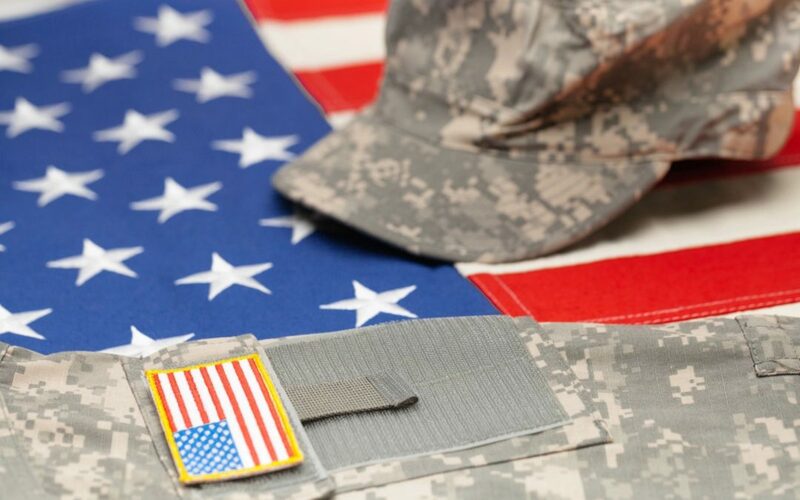 Tax credits for hiring veterans. If a small business works to find Veterans that migh be unemployed, disabled, or other disadvantaged classifications within the target group – they can get massive tax credits. Our veterans have sacrificed a whole lot – but they’ve also been uniquely prepared to tackle problems, work on a team, and add value to the economy. As of now, the WOTC has been extended to 2019, and it’s a great reason to start taking a look at hiring veterans – and get a massive tax credit while you’re at it. Ok, so one of the major problems with this (and all federal programs) is that it’s a giant bureaucratic nightmare. Only certain people are eligible for this WOTC tax credit (we know it’s redundant), but the qualifying parts are VERY SENSITIVE. How can an employer find out if their employees would make them eligible for the WOTC? The answer lies in bureaucracy and third party shake downs unfortunately. There are third party organizations who can screen employees WITHOUT breaking discrimination and privacy laws – you’ll have to find and pay them.